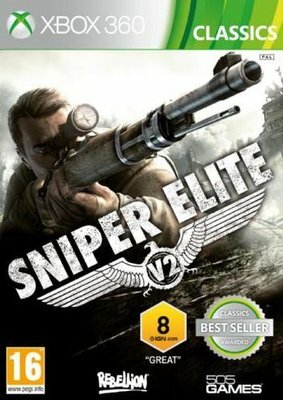 You are an Allied sniper, dropped into Berlin at the end of World War II as the Red Army tightens its grip on the city. Your mission is to assassinate five V2 rocket scientists that have been identified as wishing to defect to the Russians. However, as you go about your grim task, you learn that one of the scientists actually wants to defect to the Allies. In your race to save him, you discover that the Russians have captured V2 rockets, intend to fill them with deadly Tabun nerve agent and fire them at London, disguised as a 'last gasp' German attack. Amazing "kill cam" technology showcases what really happens when a bullet enters an enemy's body, allowing players to see hearts and lungs tear, livers burst, bones and teeth shatter, and entrails fall out. The slightest changes in the environment need to be taken into account to move into the perfect position, observe the quarry, take the shot and slip away unnoticed.